Or you not able to pick up your order? Then we will ship your order with PostNL, you will receive a track & trace code so that you can track the shipment. Our experiences with PostNL are very good, but we cannot provide a 100% delivery guarantee. 95% of consumer mail and 98% of business mail are delivered on time. 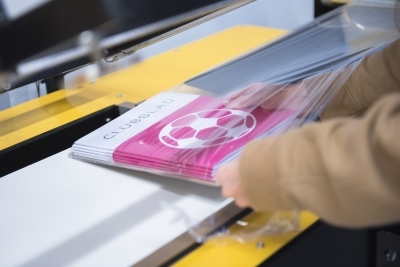 PostNL letterbox packages are ideal for small packages up to a thickness of 3.2 cm within the Netherlands. You do not have to stay home to wait for your package. Just track the shipment of your order online with the 'Track and Trace' code. It is possible to have your shipment delivered to PostNL locations in the Netherlands, your shipment will be ready from 8:30 a.m. (business points) or 4:00 p.m. Most locations are open until late in the evening and otherwise you can pick up the shipment the next day. If it is crucial that the delivery arrives on time, we recommend the "Certain" option. The shipment is processed through a different (more reliable) logistics process which saves you a lot of stress. Picking up at Printenbind.nl is of course the most reliable option. There are 2 options to receive your shipment in the morning. You can opt for PostNL extra early so that your package is ready from 8:30 a.m. at a PostNL business point and costs € 6.20. If that is inconvenient you can also choose to deliver the shipment before 10 a.m., but this is more expensive and costs € 20.45. Do you need the documents quickly? Do you not want any uncertainties by mail? Then choose delivery by 'courier'. Within Amsterdam this only costs € 7.50, outside of Amsterdam a favorable rate is charged per km. It is possible to send the order abroad. You can indicate this directly at the order, the delivery times and price are calculated automatically. Belgium costs € 6.95. Are you a reseller and do you want the shipment to go directly to your customer? Then choose 'Send blank'. 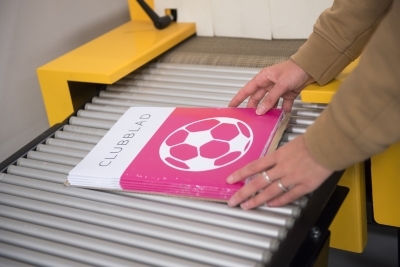 We ensure that no feature, logo or flyer from Printenbind.nl is displayed. The customer only sees your name as the sender.